To celebrate 150 years of the Jack Daniel Distillery, we hid 150 prized-filled whiskey barrels in over 50 countries. The campaign is based on Facebook, with each market releasing clues alongside imagery of what the locations looked like in the late 1800s and early 1900s. The clues are cryptic and tie to the locations and cities in which they are hidden, but they also relate back to Jack Daniel's timeless history. Over the course of several months, we worked to keep our audience engaged with not only the competition itself, but also with sustaining content pertaining to the Barrel Hunt. 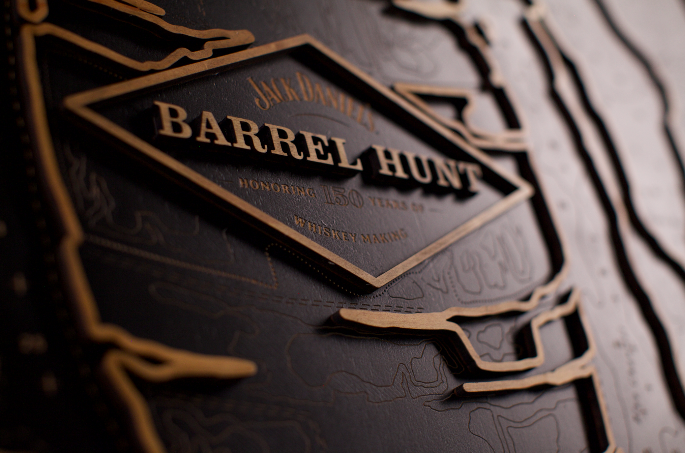 Clues for the Jack Daniel's Barrel Hunt spanned 50+ countries and roughly 125 cities. Below are a few examples from Breakfast Creek, Australia. Video content from campaign included launch videos, winner celebrations and short clips between clue launches. Prizing included a customized bar kit and wooden versions of our launch posters.